The FBI has secretly busted another National Security Agency (NSA) contractor over a massive secret data theft. The United States Justice Department charged Harold Thomas Martin, 51, with theft of highly classified government material, including "source codes" developed by the NSA to hack foreign government, according to a court complaint (PDF) unsealed on Wednesday. According to the DoJ's chief national security prosecutor John Carlin, Martin was employed by Booz Allen Hamilton, the same consulting firm that employed whistleblower Edward J. Snowden when he disclosed the global surveillance conducted by the NSA. Currently, the FBI is investigating whether Martin stole and leaked highly classified computer source codes developed to hack into the networks of Russia, China, Iran, North Korea and other United States adversaries, the New York Times reports. If stolen, this would be the second time in last 3 years when someone with access to secret data was able to swipe NSA's classified information. 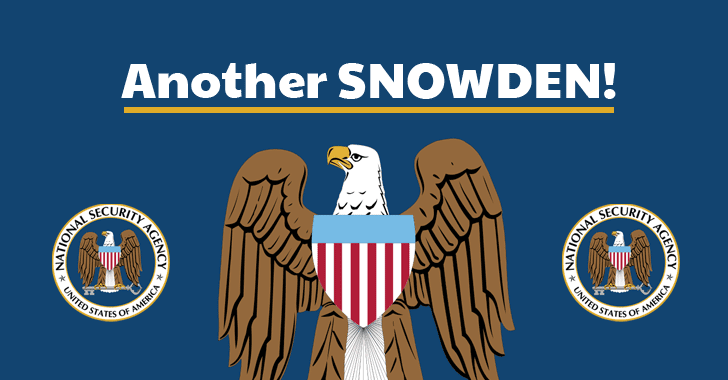 Now hiding out in Russian embassy, Snowden responded to the arrest on Twitter, saying: "This is huge. Did the FBI secretly arrest the person behind the reports NSA sat on huge flaws in US products?" Martin was arrested after a search of his home, garage, and vehicle in Glen Burnie, Maryland on August 27, according to the indictment. "A large percentage of the materials recovered from Martin's residence and vehicle bore markings indicating that they were the property of the United States and contained highly classified information of the United States," FBI Special Agent Jeremy Bucalo writes. The indictment also says feds found both digital as well as hard copy material that clearly marked as highly classified documents and property of the US government. If convicted, Martin faces up to 10 years in prison.